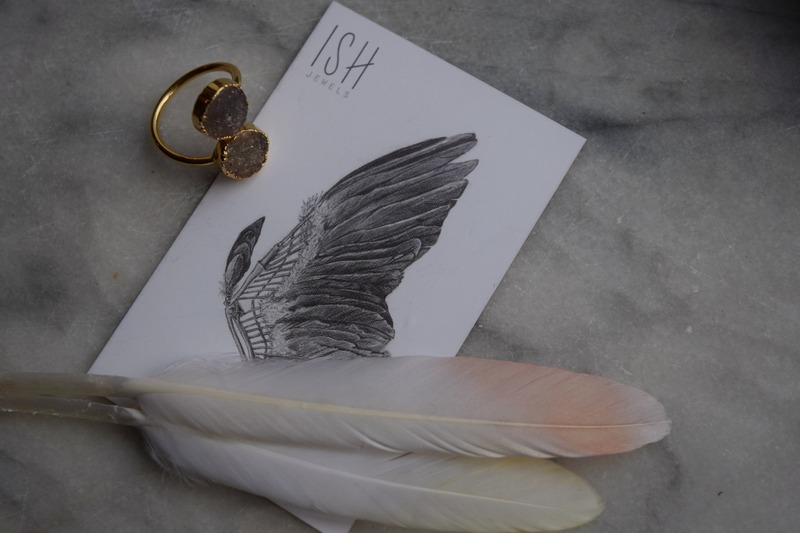 ISH Jewels – Sharing the forgotten treasures. 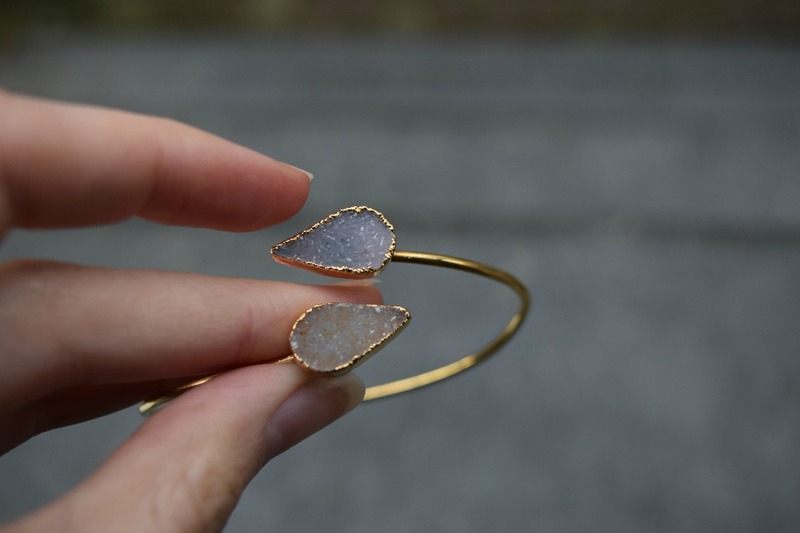 I think I found a new addiction: the druzy stone. 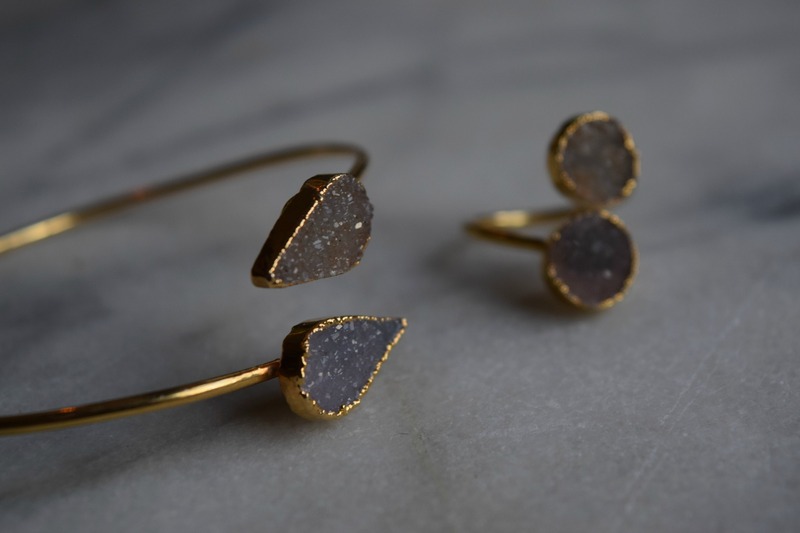 My druzy stone jewelry collection is extending. First the Riverstones bracelet and now my newest and oh so gorgeous ring and bracelet from ISH Jewels. I think it’s such a classy and elegant stone, but also sturdy. The stones have a sort of unfinished, raw touch and I just love it. It gives you the feeling of wearing something really natural and original. 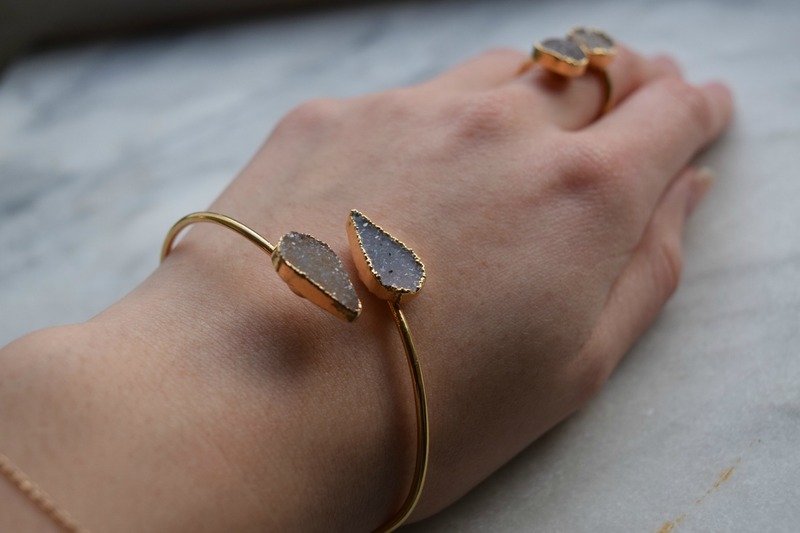 Druzy is the glittering effect of tiny crystals on top of a colorful mineral. ISH Jewels is a Dutch based jewelry brand and all jewelry are one by one unique and all have their own symbolic meaning. My Lilac bangle is made of lavender Agate. Agate stands for love, inner peace and concentration, it says. The gems are all natural and all hand crafted. The bracelet itself is beautifully gold plated. 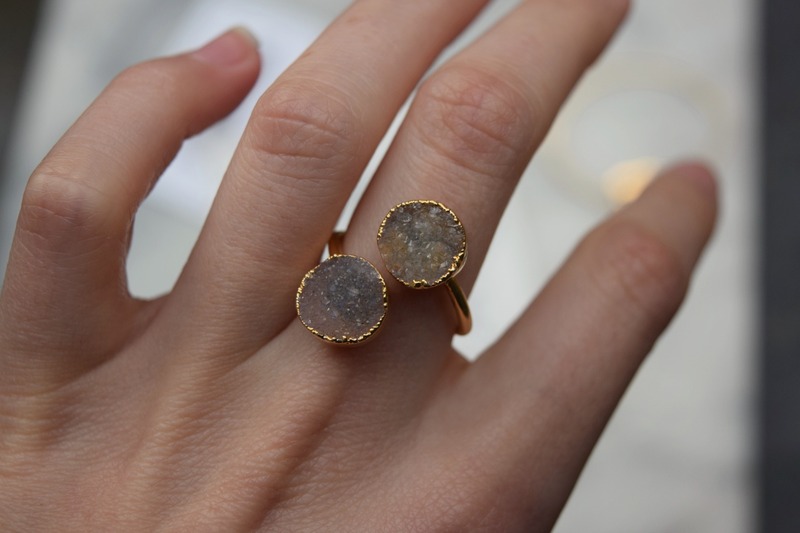 My Blue Lavender Ring is also made of druzy Agate. Shop your own here. Keep an eye on my Instagram because soon there will be a great campaign with ISH Jewels! Psst! On the 5th of April you can find ISH jewels at Sunday Market in Amsterdam and on the 6th of April at Swan Market in Rotterdam ! Come and visit!